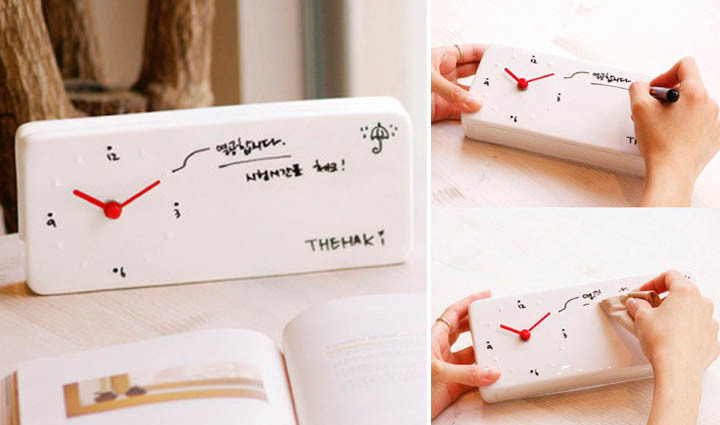 This is sold in Japan (at Taobao stores), but actually made in South Korea: the Memo CLock is ceramic, comes with the erasable marker and prompts you to plan your day and stick to the plan! It's the last part that's the trickiest, of course. This ceramic Memo Clock was designed by Korea's DESIGN ONE brand, and it already won the 2009 Red Dot Design (Reddot) and good design (GoodDesign) Awards. See if you like the idea... to us it looks rather like a bar of soap; but slimmer designs could be made easily available. 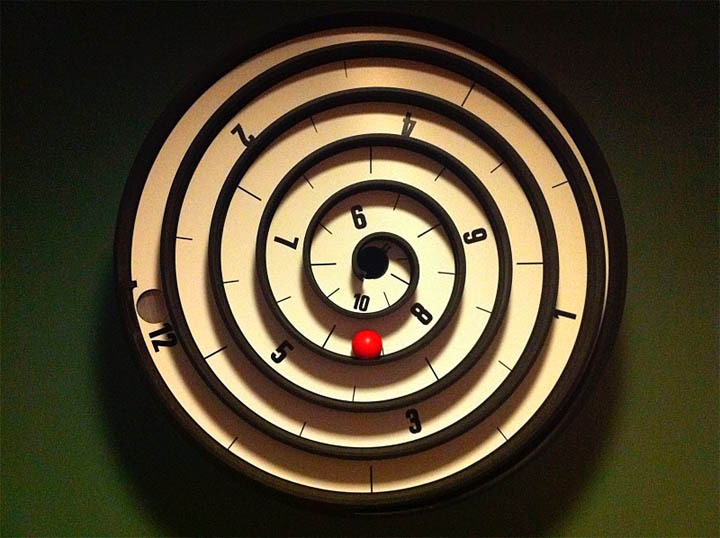 By the way, we have a bunch more cool and weird clock designs (from ultra-modern, to unabashedly vintage and quirky) that we will share with you shortly. Stay tuned. If you STILL can not follow your own agendas and forget your appointments, perhaps the following humongous device will help? It prints time on clouds - and will follow you wherever you go, so you will never have an excuse. 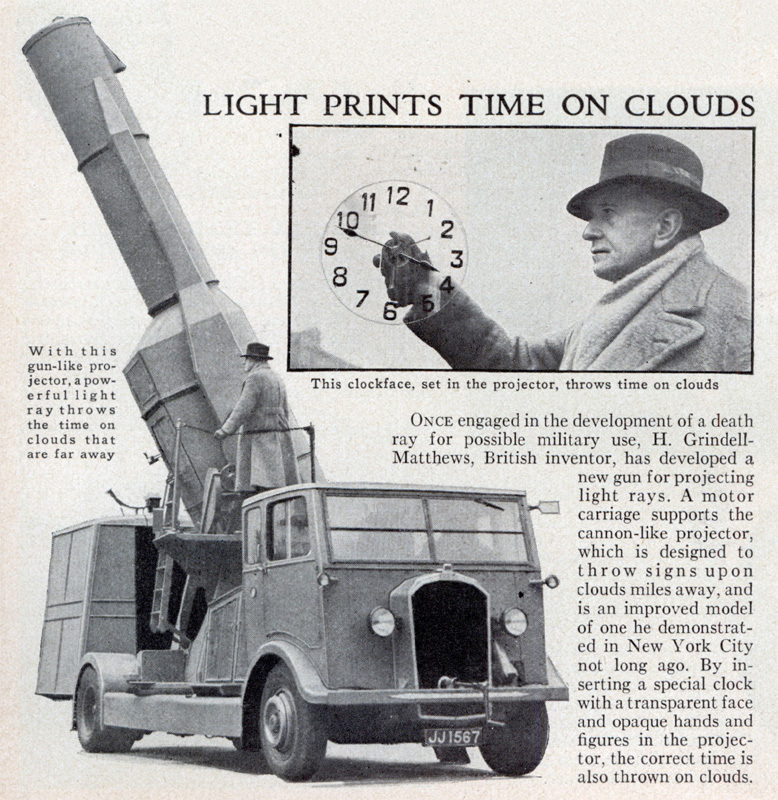 This epic idea was first introduced in Popular Science, April 1933, and earned the nickname "The Bat Clock" (you can guess why). Quick Shots: these are our new lightweight and more frequent postings that will come out in addition to all the other good stuff you love and enjoy on DRB: in-depth Quantum Shots, Link Lattes and Biscottis. Products sold in South Korea and China. This is sold from Taobao - they sell in Japan as well as China. 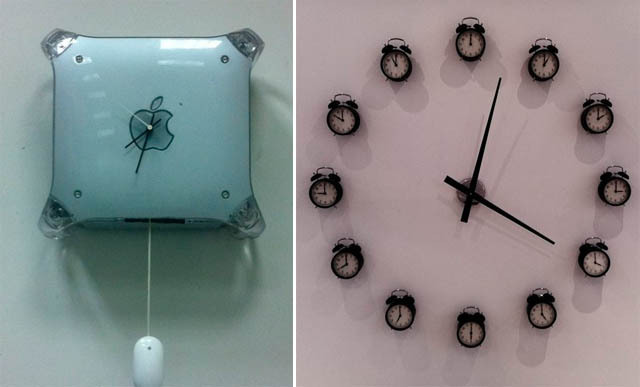 The clock itself is designed in Korea, like we said. taobao site's language is Chinese. And the clock is written in Korean letters. So he used the title because the Japanese do not have one. So how does it work? Does it detect the point where the line crosses over onto the clock face and sound an alarm at the appropriate time? With such a small clock with only four numbers on it seems like it could be quite hard to get it accurate, I could easily imagine it being half an hour out.